Many people might feel that representing themselves in their divorce is a good way to ensure that any agreement that comes out of the process will look exactly as they would like it, and that they will also save money. The problem is that there are typically many moving parts in a divorce, ranging from alimony, to property distribution, to potential child support and custody issues. Each factor can affect the other one, and in states like Florida, the state of alimony is also potentially changing (on the horizon). As someone who may not be familiar with Florida divorce law, and how it should be calculated for current and future needs, as well as adjustments should anything happen, you could end up agreeing to arrangements that are not in your (or your child’s) best interest. Florida courts use the term “time-sharing” instead of “child custody” when it comes to children spending time with each parent. Florida courts are typically always concerned with what is in the best interest of the child, but what does this mean? There are a number of factors that the court will look at, and in addition, there are also certain circumstances that qualify as child abandonment under Florida law. As such, when you are making arrangements for time-sharing with your child, you want to be very careful that you are not accidentally signing your rights away with respect to spending time with your child. You will want the advice guidance and representation from someone who is familiar with these factors. Without a prenuptial agreement, Florida courts abide by a general system of equal distribution unless there is justification for unequal distribution based on numerous factors. Having an experienced attorney by your side during divorce can both protect you from the injustices associated with the distribution system and ensure that you and your family are protected regarding any property that may more equitably assigned to you, such as the family home if you have primary child custody. It can be particularly difficult if one or both parties need to modify any agreement that relates to alimony, child support, or child custody. In Florida, child support payments are largely based on incomes of the child’s parents, but if salaries change, these payments are not automatically adjusted by the courts. Any modifications need to be sought with help from an experienced attorney in initially making arrangements. Although collaborative divorce and mediation can help prevent a court battle, it still requirements the assistance of those familiar with state law to finalize all of the associated documents. There are also important tax ramifications of divorce, alimony, and child support, which could negatively impact you if you do receive experienced guidance. 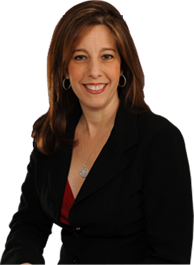 If you are dealing with a potential divorce, and you live in the Fort Lauderdale or Boca Raton areas, contact Sandra Bonfiglio, P.A. to schedule a consultation and learn more about our services. Simply knowing you do not have to go through the process alone can provide you with significant peace of mind.